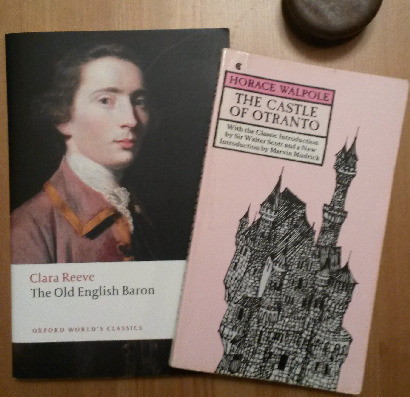 For such an influential piece of literature, the Castle of Otranto is really quite silly. It’s not a particularly well written book, but it’s responsible for introducing many of the most common motifs of Gothic fiction. I have found it quite difficult to review this book without comparing it to the far superior novels that were influenced by it. That’s not to say that this is not an enjoyable book though. It’s too short to get boring; you’ll finish it in an afternoon. The characters and plot are a little flat in comparison to later Gothic novels, but there are enough skeletons and ghosts in here to keep the reader interested. If you like Gothic fiction at all, you should check this one out. Story, being a picture of Gothic times and manners. If you can imagine somebody remaking the Exorcist, but leaving out all of the scenes that feature anything to do with possession, then you might just be able to fathom quite how lame this book is. I read it a while back and all I can remember is the irritatingly well-mannered characters incessantly bursting into tears. If you haven’t read this novel and intend on doing so despite my poor review, please keep a red pen handy and underline every instance that a character begins to cry. I would love to know the sum total but I can’t imagine I will ever reread this pile of crap. The Castle of Otranto is an enjoyable little romp. Read it after your tea on a Sunday. Previous Post Bibles that aren’t Bibles.